From the outset Re-Format have set out to design a contemporary house that is sensitive and tailored to its unique site. 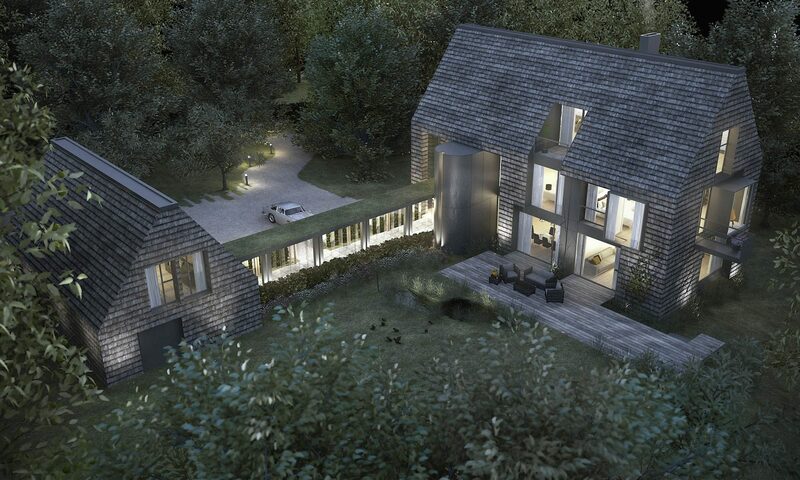 By referring to local traditional ‘raised barns’ the concept has developed to ‘touch the ground lightly’ and to retain much of the woodland nature of the specific location. The building has been positioned to maximise the available sunlight whilst preserving the setting of the protected existing trees. 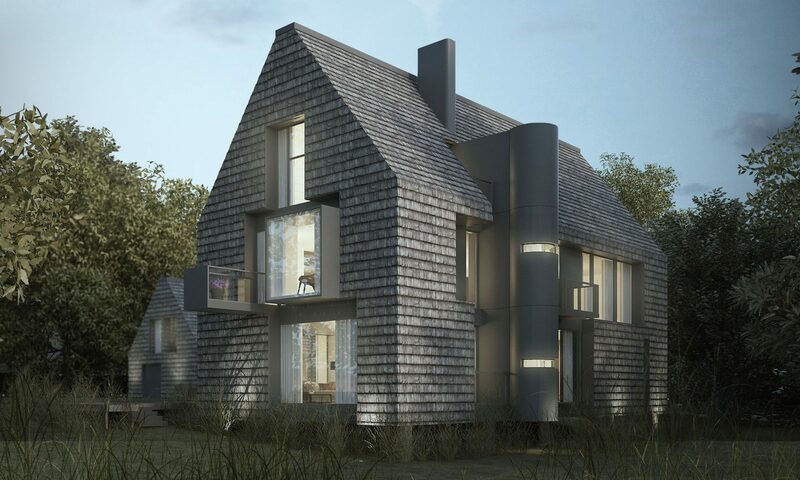 Being clad in timber shingles sourced from the ‘secondary trees’ felled on site, the house will be practically invisible from the public domain. The other major priority has been to design a very low energy use and sustainable dwelling. 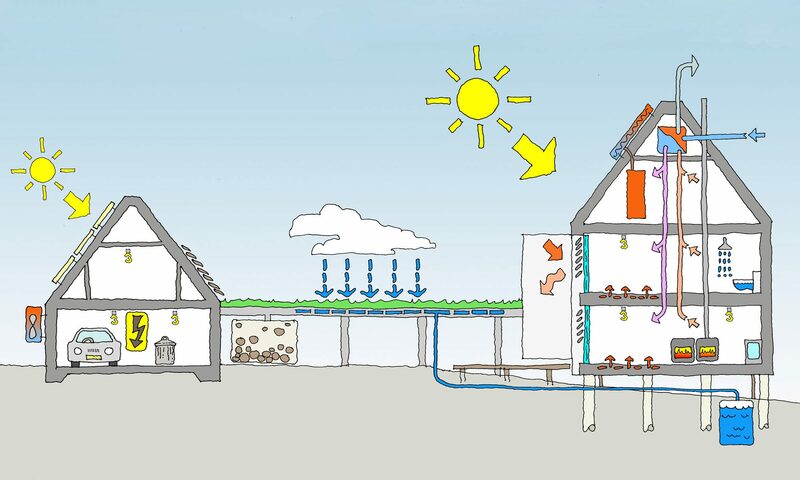 In addition to a super insulated and very low air-permeability structure, a collection of low energy strategies and features have been integrated into the design.